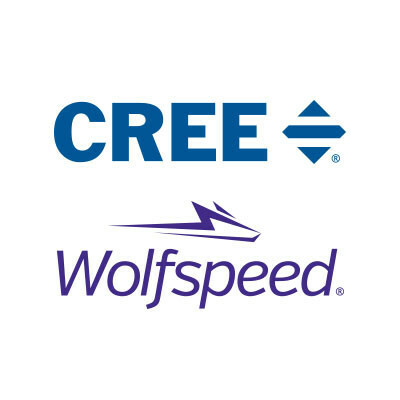 This position provides key leadership in the continuous improvement of CREE’s Process Safety Management and Risk Management Plan (PSM and RMP) program. This includes ownership in the development and implementation of goals, standards, and expectations for the PSM and RMP program. The PSM and RMP program will henceforth be referred to in this document as the PSM program. Serve as the lead for CREE’s PSM program and serves as the plant expert on PSM/RMP regulations and related issues. Work with corporate Health, Safety & Environmental to develop and implement goals, standards, policies, and expectations regarding the company’s PSM program. This includes developing measurable metrics, monitoring the metrics and regular reporting to drive continuous improvement. Maintain a working knowledge of the PSM/RMP regulations and interpretations. Requires strong computer skills and capability to learn new software systems. As such, this position will maintain and continue to develop the electronic Management of Change (MOC) and Procedure systems. Provide direct oversight and quality assurance while managing the day to day activities associated the Process Hazards Analysis (PHA) process and manages the PHA action plans to closure. Maintain files to demonstrate compliance with all regulatory requirements (inspections, procedures, checklists, etc.). Conduct regular internal audits of PSM program elements, and analyzes the data for program improvements. Assist in accident, injury, near-miss, and unsafe conditions investigations. Utilizes the corporate approved Root Cause Analysis (RCA) methods to determine the causes of incidents and drive corrective actions. Assume duties of other department members as needed during sickness, vacation, and other absences. Collaborate with site groups to institute controls and remedial measures for hazardous and potentially hazardous conditions and equipment. Ability to manage multiple priorities and programs simultaneously and ability to perform in a complex environment. Build effective relationships with internal teams focusing on customer service based solutions. Solid performance of developing and implementing Environmental Health & Safety programs, procedures, associated training, guidance documents, and job aids. In depth experience with evaluating safety procedures and translating task information into comprehensive Job Hazard Analysis. Experience working and implementing processes within production manufacturing and R&D Lab Environments. B.S. Degree in Chemical or Mechanical Engineering is preferred or other 4 year related degrees including in health and safety. 5 + years refinery, petrochemical or semiconductor plant experience is preferred. 5 + years of Process Safety Management (PSM) and Process Hazard Analysis (PHA), experience preferred. Strong computer software skills required with MS Word, Excel, PowerPoint, and the ability to learn and master new software products.